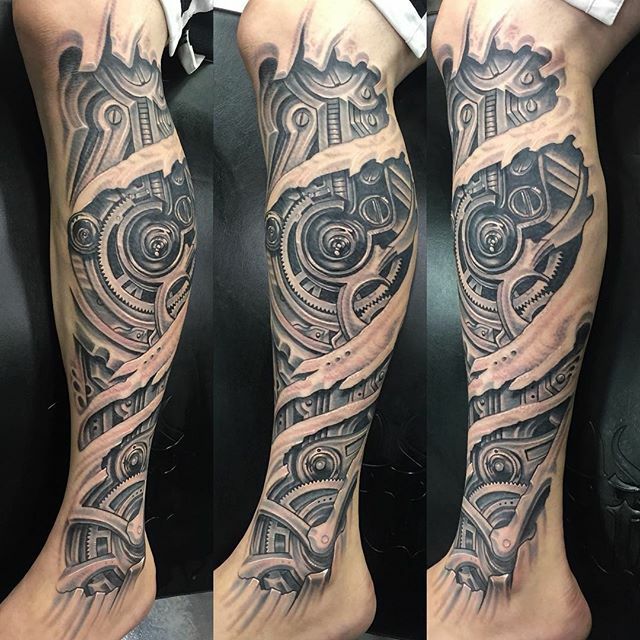 Many experts will say that tattooing is the most difficult form of art to master. The main reason, to them, is that the skin is a very unpredictable and different people have different types of skin. Colors may change hues according to the way you take care of your artwork, and so on. If you do manage to find an artist who possesses exceptional talent, you will be blessed with a unique artwork for the rest of your life. Perhaps the pinnacle of the tattooing world is tri-dimensional tattoos that possess depth. There’s no one better than these maestros. Prepare to be amazed. 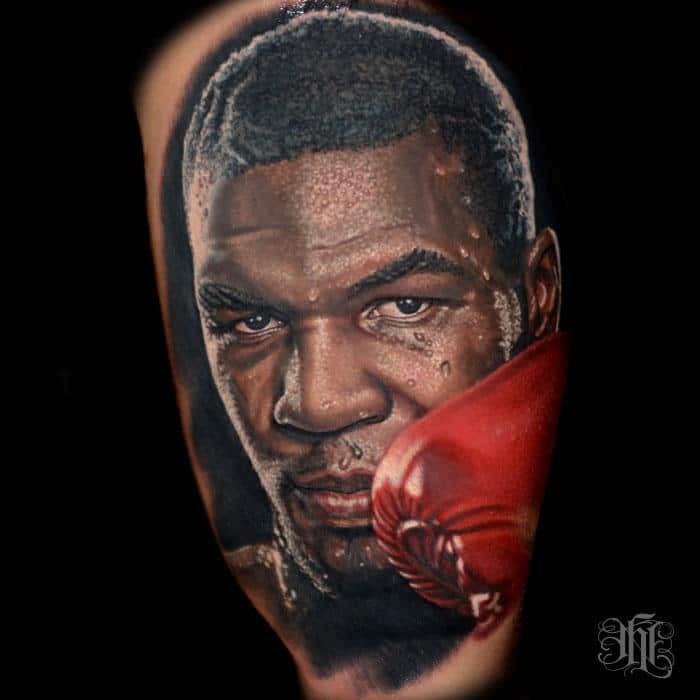 This very accurate and stunning representation of iron mike is the work of renowned artist Nikko Hurtado. Many experts and fans deem Nikko the best portrait artist in the world, and it’s not too hard to see why. He is known for his attention to detail and many faces he tattoos on people’s bodies look like they can come alive and speak to you at any given moment. We, honestly, would be a little frightened if we came to face this graphic of Iron Mike in real life. Even though it’s a wonderful work of art, Nikko put in so much effort, that you can expect Mike to jump out and punch you in the jaw at any given moment. Realism at its finest. Even though it’s still not possible to turn into a cyborg, you can surely look like one. The man responsible for this jaw-dropping piece is none other than Roman Abrego, a California-based artist that specializes in biomechanical and hyper-realistic tattoos. 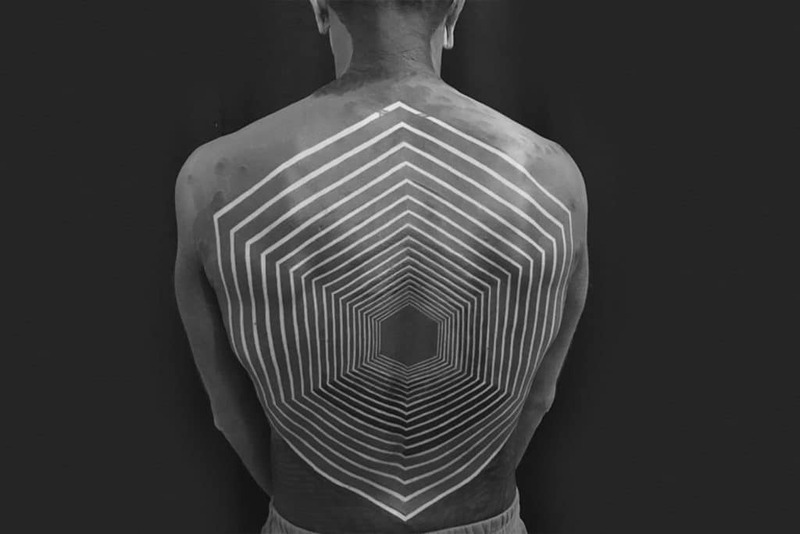 He combines metal-like hues and colors of the skin to create an impression as if your skin is ripped and the metal insides are visible. Note that, aside from exceptional talent, you need an impeccable knowledge of anatomy in order to do these pieces. You have to know the place of every tendon, muscle fiber and just about everything else. Roman sure mastered it. If you’ve been looking for a guy who can fuse surreal motives with some hyper-realistic motives, then Russian artist Parvick Faramarz is the man for the job. He only started tattooing five years ago and he’s already a regular guest at every big tattoo conference. Many regard him as perhaps the most talented black and white artist in the world. While he prefers to do works of animals and plants, Parvick can get his hands on almost anything and turn it into a masterpiece. From portraits of family members, actors and surreal composition – this man do it all and is one of the greats of the industry. These Eastern European guys sure can create masterpieces, huh? Dmitriy Samohin is another brilliant artist that comes from this part of the world and has quickly gained international fame for his willingness to experiment with hues, all in order to have the customers leave with a smile on their faces while carrying a masterpiece that really is eternal. He is also mostly known for portraits and depiction of human figures, but when he decides to do something surrealistic or over the top, you know it’s going to blow your mind. 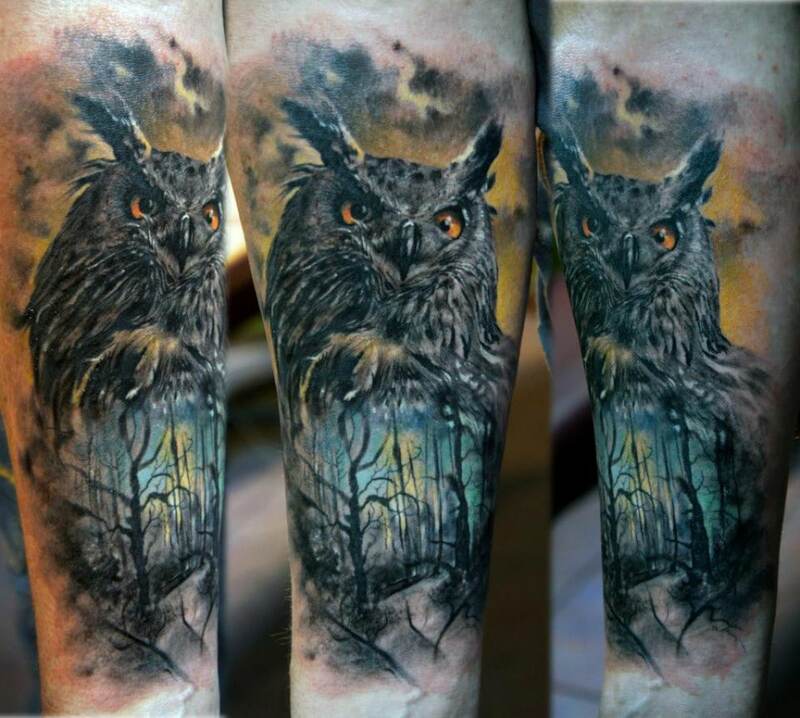 He works out of Odessa, Ukraine, and many people for around the globe venture into his parlor to get a majestic work of art imprinted on them! Although this one may seem simple, it’s far from simplicity. 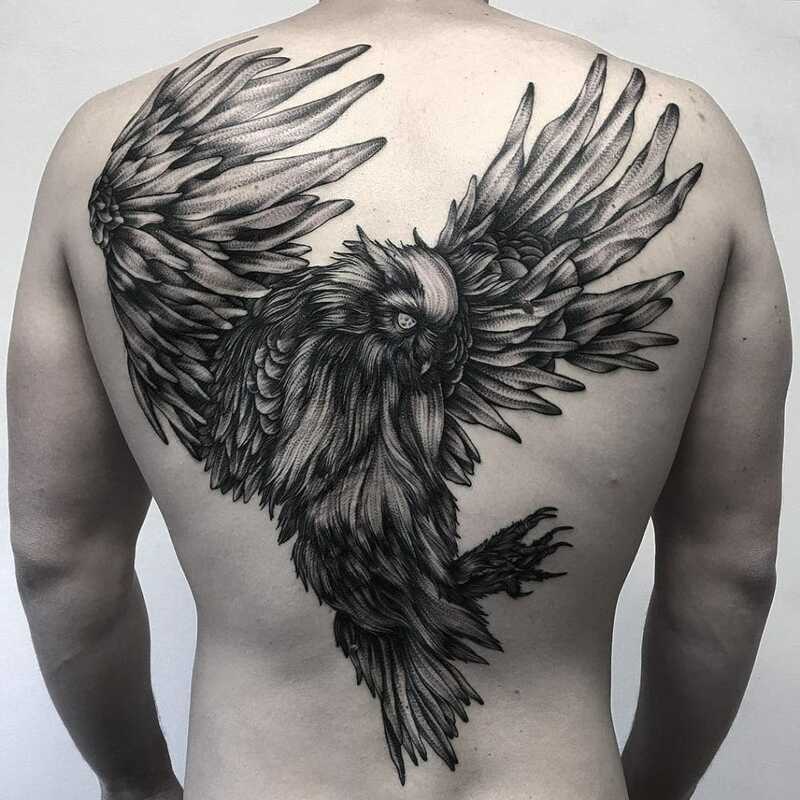 Using such amounts of black ink are a risky endeavor because you need to study the anatomy of your customer and predict if the 3D effect with remain on his skin. Mr. K, a New York-based artist, really outdid himself with this one and we just can’t stop staring into the abyss of this tattoo. After studying graphic design and working in the industry, Mr. K decided he would rather commit to street art and the wonderful art of tattooing. He sure implemented some graphic design influences into this piece, as he did with many others. When you’re discussing the top 3D tattoo artists today, it’s more than crucial to mention Boris from Vienna. He refuses to give out any other personal info and decides to use his name as a trademark. Also, he mostly lets his beautiful and versatile talent to the talk and we can’t be happier because of that. While most artists focus on one style, Boris isn’t hesitant to implement an advanced hue system to all his works in order to create an excellent 3D that makes the artworks look very much alive. From Incan soldiers, animals, portraits to surrealism – this man do just about everything and do it masterfully. The Eastern European guys are still going strong and another representative of this talented region is of course, Domantas Parvainis from Lithuania. He has become widely known for his gritty, unorthodox style that combines perspectives and angles to create the ultimate realistic tattoo. You would’ve thought that there are some weak parts to his tattooing game, but that can’t be further from the truth. He is proficient both in portraits and pieces devoid of any realistic elements. A lot of tattoo enthusiasts take yearly pilgrimages to his studio in the small town of Siauliai. And there is no customer that leaves without previously dropping his jaw down to the floor. 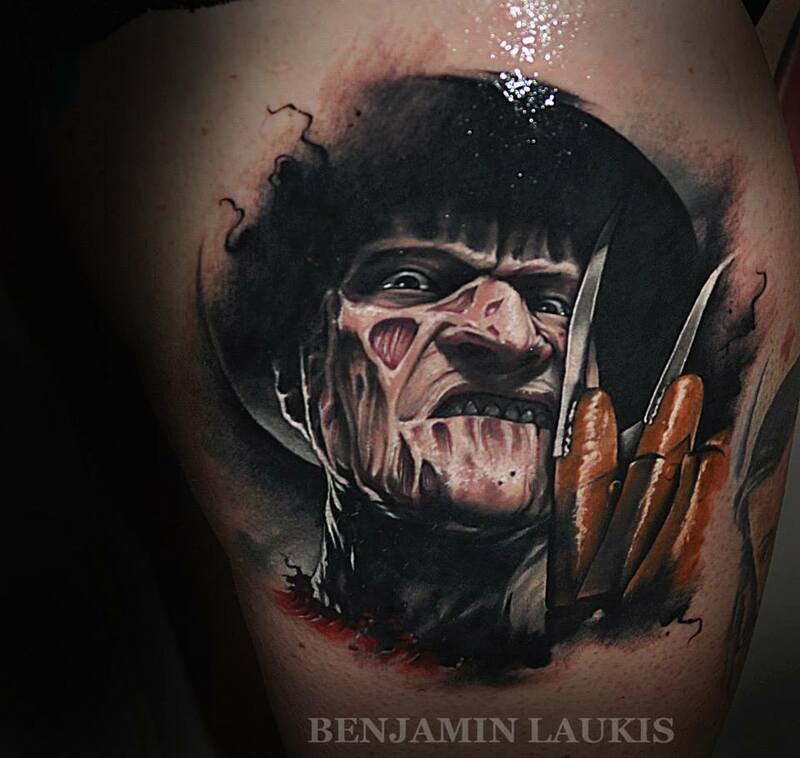 Benjamin Laukis represents the Aussie tattoo scene on this list and does with exceptional style. He stated multiple times that a lifelong love for comic books is the reason he got into tattooing in the first place. Such an extensive love for art motivated Benjamin to further expand on his skills and become a master of the 3D and realistic tattoo style. If you scroll through his social media profiles, you’ll see that he mostly does skulls and female portraits, but once in a while decides to blow us away with something unorthodox that will stay engraved in our minds for good. 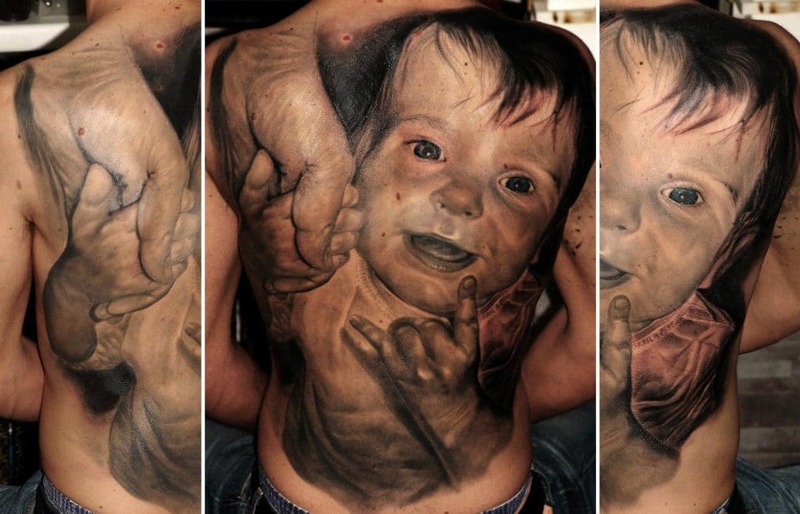 Steve Butcher from New Zealand is often called the lord of realistic tattoos and you immediately notice why. He does portraits in such a realistic manner and they possess so much depth that you almost have an urge to talk to them. 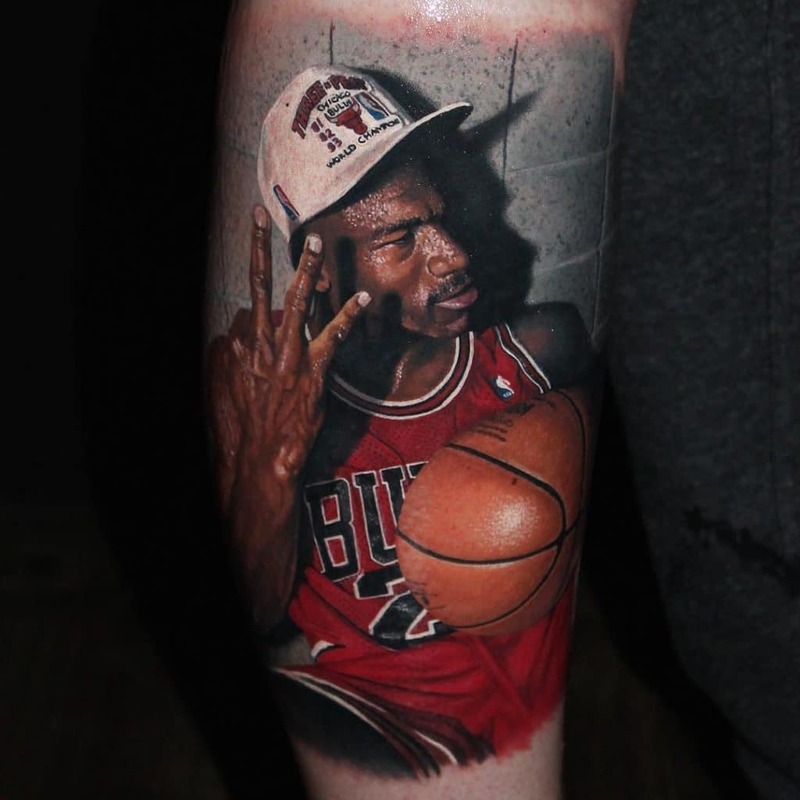 He was recently featured on ESPN and multiple media outlets for outstanding tattoos of NBA basketball players. He also loves to do animals and says one of his greatest joys in life is being able to travel around the world and do what he loves. Sometimes, it’s just not fair how this man is able to do a 100% realistic depiction of the photograph he was tasked to recreate.